NEO is on the 16th place on CoinMarketCap and soon will join our platform. The next vote on CoinDeal has finished! 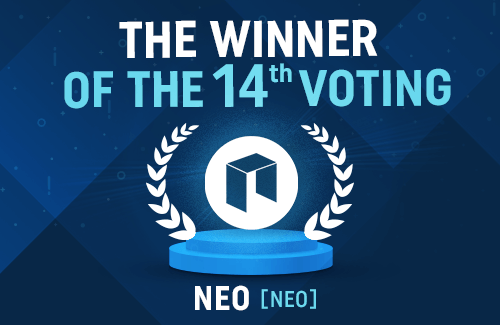 NEO received the most votes. This coin will join our community after the final verification. Within 4 weeks we will add it to our platform. NEO is an open source project driven by the community. It utilizes blockchain technology and digital identities to digitize assets and automate the management of digital assets using smart contracts. Using a distributed network, it aims to create a "Smart Economy". NEO was founded in 2014 and open sourced on GitHub in June 2015. Its MainNet was released in October 2016 and has been running in stable capacity for two years. Its vision of a "smart economy" was set up along with the project rebranding in 2017. Stay tuned! Another voting will start soon!